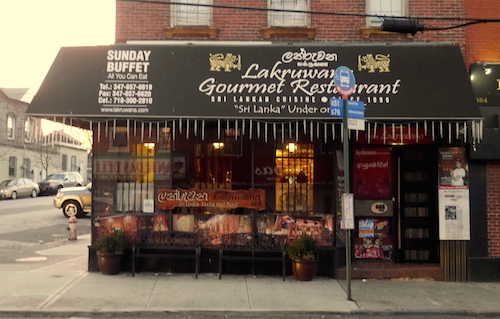 Formerly in the space that went on to house San Rasa, another Sri Lankan restaurant that has since also moved out, Lakruwana has shifted quite a ways down Bay Street to the Stapleton section of Staten Island. This neighborhood has seen decades of neglect after the Verrazano-Narrows Bridge was completed in 1964 and shifted business elsewhere. The differences between outside and inside are quite significant when you pass through the doors, as calm and serenity take hold. On weekends, and now including Friday, most people come here for the all you can eat buffet (shown above) that costs a very economical $12.95 and includes a dessert bar. I overheard vegetarian customers as we ate here who all seemed satisfied, but the buffet also includes many meat dishes, multiple curries, two types of rice, and plenty of crispy papadum. My plate below shows two curries (pork and pineapple), deviled chicken, and an eggplant dish all morphing into one dark object. Lentils, potatoes, and greens add color, texture, and different tastes to each bite. A normal Sri Lankan plate would have much more rice to accompany the dishes, but I tried not to fill up on it and used my utensils shamefully. Not pictured is a fantastic thin egg curry that is minty green in color and best suited for laying over a mound of their fine basmathi rice. Other menu items are available, and I was a bit jealous of the big group that ordered a plate of hoppers for their meal. 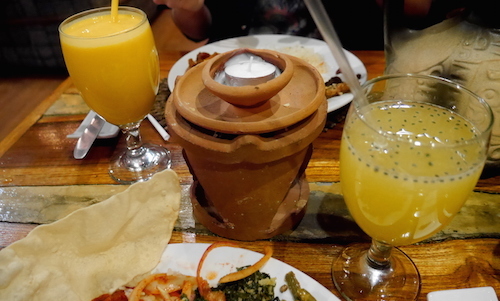 The mango lassi ($4.95, left) and passion (fruit) juice ($3.95, right) are both a good way to cleanse the palate between bites. The four item dessert bar seemed like one item and three distractions, as the mango mousse here is absolutely fantastic. 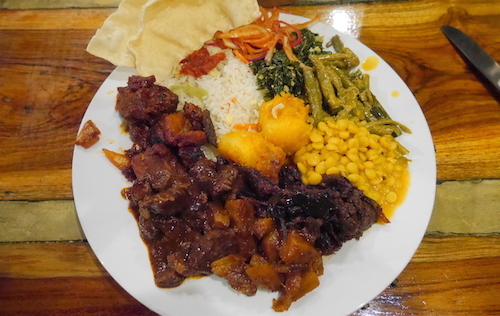 I have spent some time in Sri Lanka, and overall the atmosphere and food reminded me of the few times I stayed in a somewhat nice hotel and had access to a buffet meal there. 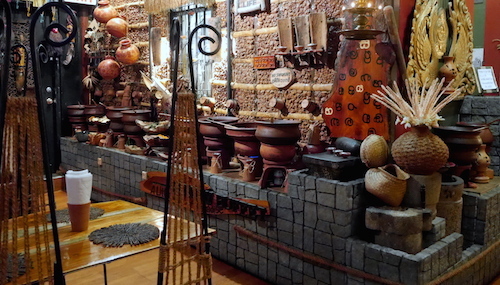 The restaurant is choked full of "traditional" Sri Lankan items you might find in gift shops. 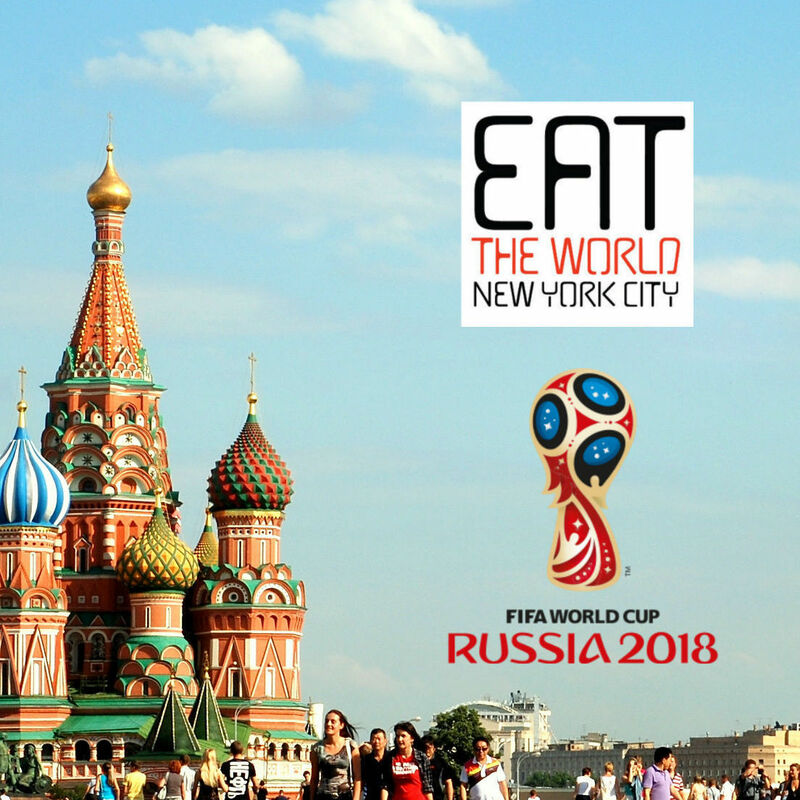 While this might sound like a negative, I did not really see it that way, as the hospitality and freshness of everything was quite good, even if each individual dish was not blowing any minds. It will be nice to return on a weekday and try some of their cooked to order Sri Lankan specialties.